Event organizer’s lateral thinking is a key-holder for their success in trade-shows and events;visualising things beyond usual applications is part of their daily routine. 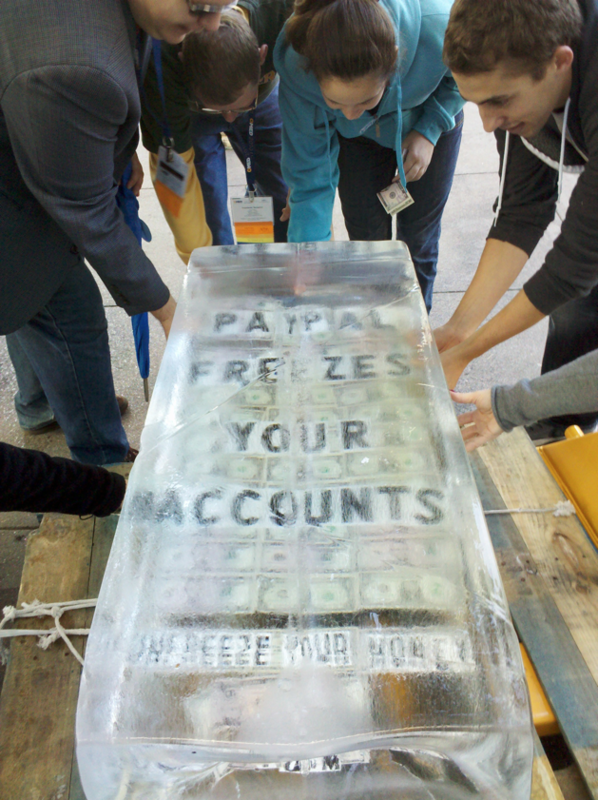 They continuously keep harvesting new ideas, so that their ROI on tradeshow do not stay undervalued. Here are few case-studies that changed trade-show dynamics with their ingenious ideas and help them standout among the crowd. Pre-promotional emails are regular business for event planners to attract clients but it is a universal truth that only few emails get response. To which there is different strategy adopted by “Datakey Electronics”, they choose direct mail instead of e-mail but with a twist. Solution:To confirm the visits of pre-registered attendees to their booth “Datakey Electronics”choose physical postcard over e-mails but there is little more to it. They sent a postcard with an embedded chip having a key to unlock prize at the booth. 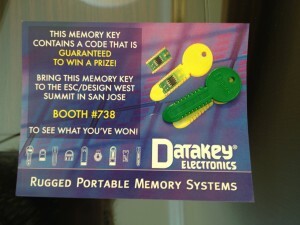 It guaranteed a prize, but more importantly, it was an interesting way for Datakey to quickly demo their rugged, portable memory products to their potential customers or target audience. This way they not only brought traffic to the booth but distributed their giveaway with a message. Solution: The idea is to use booth space smartly at the same time should highlight the product feature strongly. 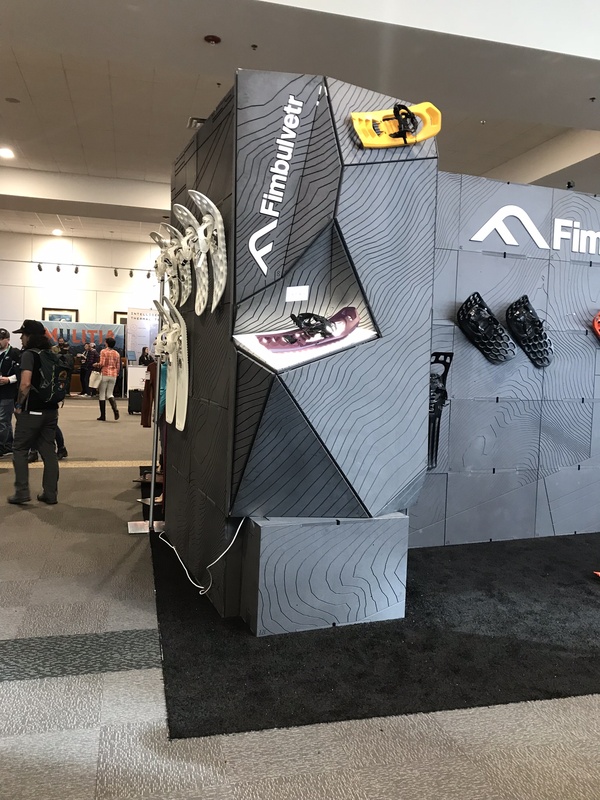 Fimbuvelter builds snow-shoes that provide firm grips to walk on rough and steep surface in the snowy region.To highlight this feature in tradeshow they carved booth with hollow notches and slanting edges that imitates uneven surface of mountain terrain. They placed their snow-shoes on this sliding surface emphasizing the shoes strong grip while the light further helped in displaying shoes boldly. The shoes leaned at odd angles clearly hit the eyes covering the 360 view of event attendees. The best part of this booth is that it is simple with no big expense and yet effective. Traditional display style using a large LED’s sometimes fails to market product that simple ideas will do. Few exhibitors take the risk for displaying brand uniquely, and they pick competitor’s event to convey their message loudly without adding any special effects. Here is one such example. Marketing is the focal point of trade-show exhibits. It is a big game and becomes more challenging when there is a pill-sized budget. A similar situation was infront of marketing manager of drug manufacturing company Jubilant Hollister Stier's Contract Manufacturing and Services Division (JHS). To promote their medical apparatus and drugs at low budget, it has used the simple and inexpensive technique. 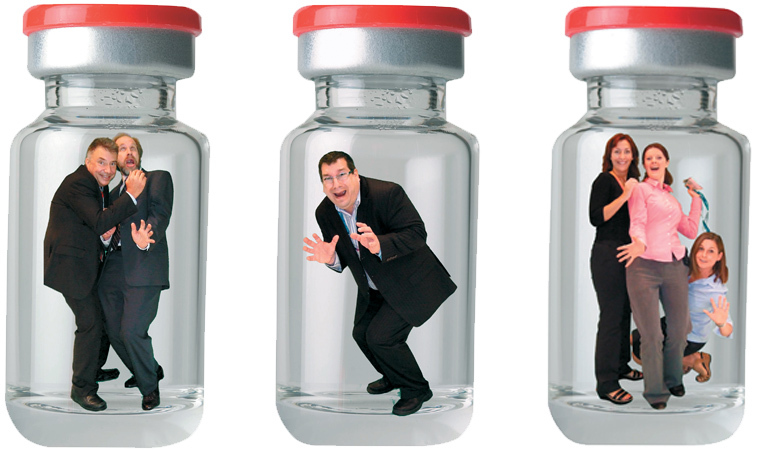 Solution: With the popularity of photo-booths at tradeshows, the company integrated photo-session with its product (glass vial) but with a pinch of humour. The rep took attendees' pictures; then she would import the attendees' photos into an empty glass-vial template on her computer, and then print copies of the attendees "trapped in a vial”. Later she sends these humorous photo-shoots of visitors making various faces crouched inside a glass vial through e-mail. She did all these single-handedly with the help of photoshop. As an exhibitor of the trade-show, you may have noticed that event attendees do not pay attention to your leaflets and brochures, and a waste of money behind printing them, then probably the below idea could help to change your future strategy. Solution: During XLIVE 2017, just like any normal tradeshow, TGG has printed expo brochure. However, the best part of this brochure is that it appears like a passport with each page having the stamping space and information about the booth exhibit. The attendees have to stamp each page at all five featured stations in order to qualify for an entry into a $250 gift card drawing. It made event guests to visit all the booths of the exhibition and take interest in the brochure without persuasion. Technology has received a great deal of attention from event and tradeshows exhibitors, knowing the right application of technology can help them to accelerate the process and reduce operational cost. Talking event management as a whole is a bit daunting especially when you have to synchronise one particular segment to other like event registration, pre-show promotional emails, etc.but technology will help to do this. Let see one such case-study from Tomorrowland music festival. Solution: Tomorrowland music festival is a large gathering of music fans from all over the world, to make the experience smooth for visitors the festival organisers have replaced admission tickets with R.F.I.D. wristbands. To further make this experience real fun for attendees they linked their R.F.I.D. 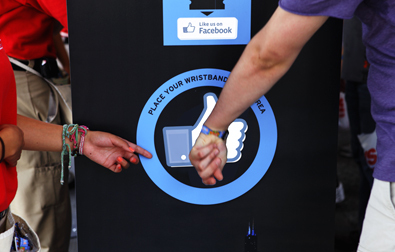 wristbands to Facebook accounts. The system allowed them to receive a daily email of people they met each day at the event and enjoyed the festival at the fullest. 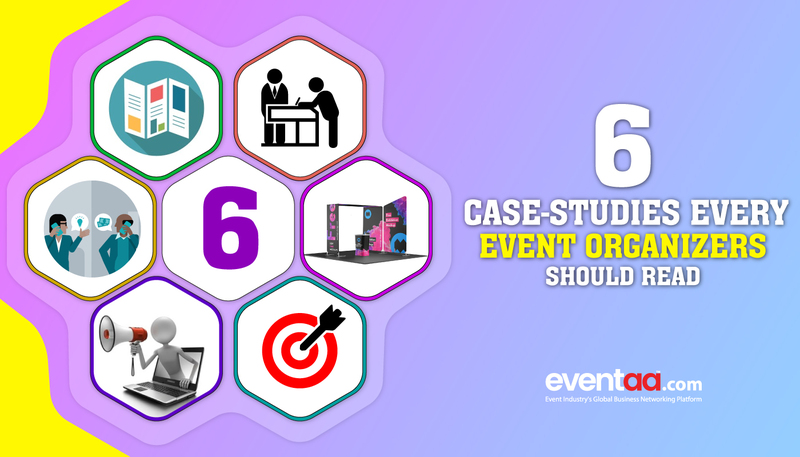 These case-studies came as a simple yet effective solution to meet tradeshow and event challenges due to event exhibitor’s smart thinking. If you have witnessed any such clever strategies by event planner that is par excellence then why not make it bigger by marking it over here.